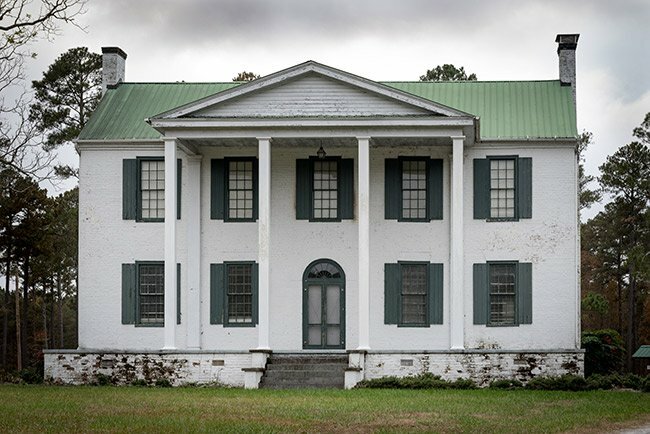 This Federal-style home in Joanna was built soon after Colonel John Simpson settled the tract in 1786, though some accounts say he arrived in 1785. He built the home for his bride of six weeks, Mary Wells of Oxfordshire, England. 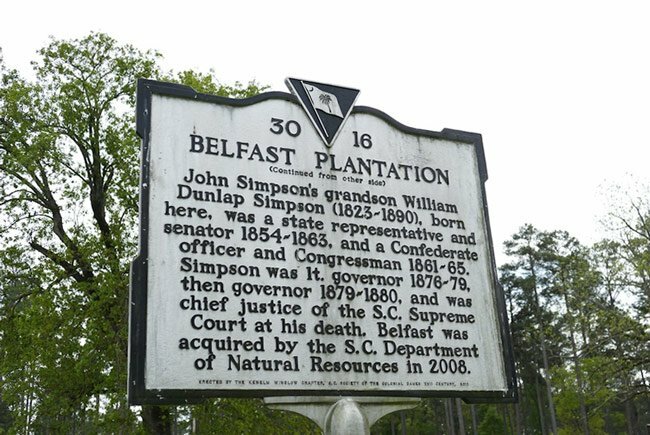 Colonel Simpson also came to South Carolina from England and named his land after his birthplace in Belfast, Ireland. In fact, the house was built of bricks made in Ireland, while the home’s interior includes hand-carved black walnut mantels from England. Locally, the home was also known as the Brick House. A merchant and a planter, Colonel Simpson operated a post office from his manse in 1804. The home was also where he ran his successful mercantile. Colonel Simpson was the first in a family of statesmen that served in the South Carolina House of Representatives from 1797 through 1886. His grandson, William Dunlap Simpson, was governor of South Carolina from 1879 until 1880. Prior to that he was also a state representative and a Confederate veteran of the Civil War. William Dunlap Simpson acted as Chief Justice of the South Carolina Supreme Court from 1880 until his death in 1890. 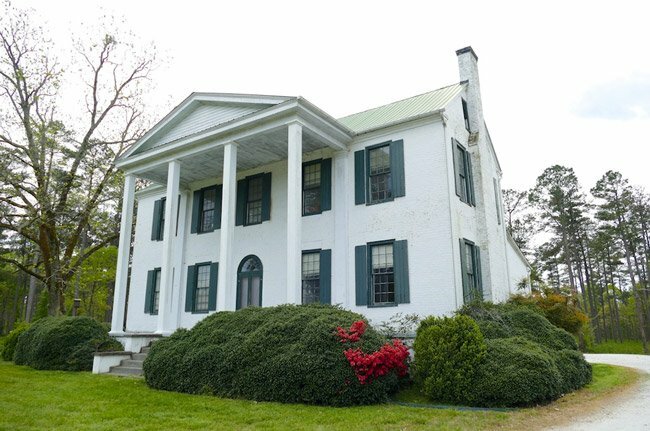 His home, the William Dunlap Simpson House, stands in historic Laurens. 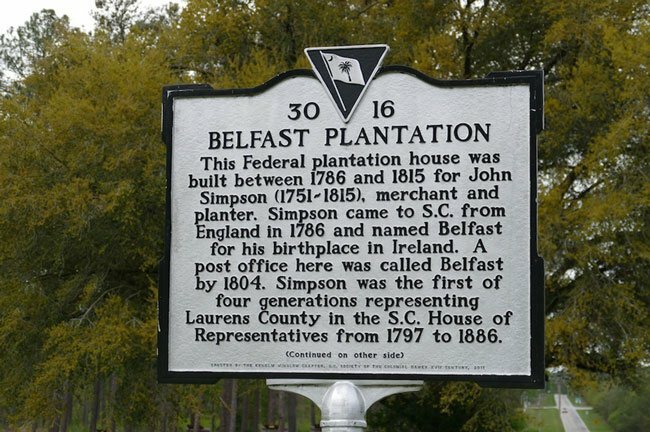 When Colonel Simpson died in 1815, he left all of his landholdings, including his Belfast property and much of Laurens, to his two youngest sons, John W. Simpson and Richard F. Simpson. The Belfast tract, which today numbers 4,664 acres, spans two counties – Laurens and Newberry. While the house at Belfast lies within Laurens County, most of the land falls within Newberry County. For many years the property was owned by the Champion Paper Company. 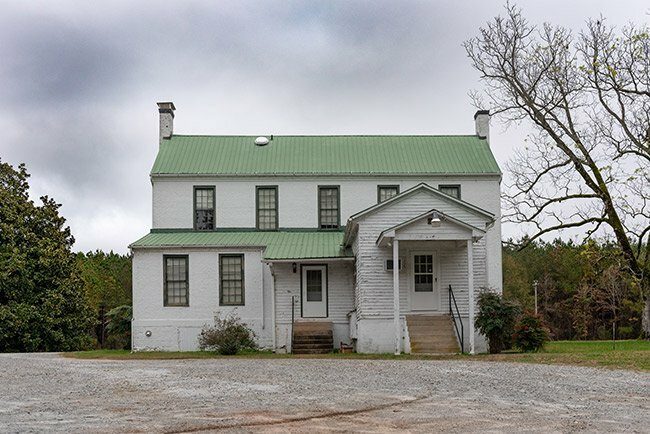 The company, which was headquartered here, managed timber production on the land and also used a portion of the property as a hunting ground and the house as a lodge. In 2000 International Paper bought Champion Paper. In 2008 the South Carolina Department of Resources purchased the property and now maintains the land as a Wildlife Management Area. The purchase was the result of joint efforts by the SCDNR, The Conservation Fund, the National Turkey Wildlife Federation, and the South Carolina Conservation Bank. Since acquiring the Belfast land, the SCDNR has worked to restore it as wildlife habitat. Efforts such as planting for wildlife along power lines, prescribed burns, and pine thinning have contributed to the healthy population of game species such as deer, turkey, quail, and dove. The Belfast WMA hosts scheduled hunts with still gun hunts permitted by drawing only. The public is prohibited from being on the property during hunts. While no all-terrain vehicles (ATVs) are allowed on the tract, horseback riding is welcomed during non-hunting periods. 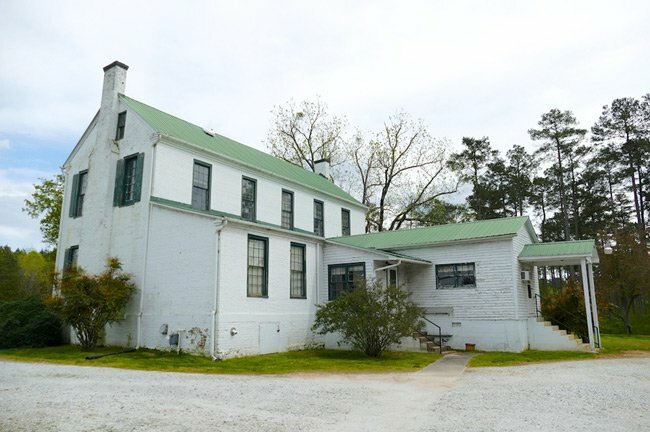 The Belfast house, one of the oldest remaining homes in Laurens County, is currently being used by the SCDNR for special events and outreach programs. 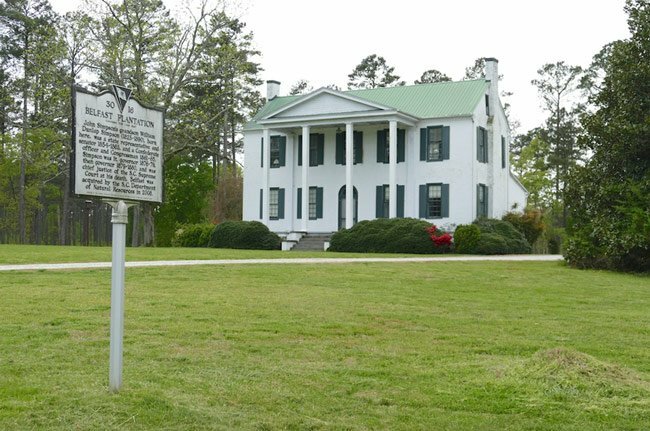 Response to Lula Simpson: The cemetery where Colonel John and his “consort”, (wife Mary) are buried is located south of the house on Highway 56, approximately 1/4 to 1/2 mile and on the opposite side of the highway. There is an old road (with gate) that leads to the cemetery and where the original church building stood. The cemetery is at the end of this dirt road about 300 yards in. It’s been a few years since I visited, hopefully no trees have fallen across the graves. By the way, there are numerous other cemeteries in the woodlands of Belfast. It was a thriving community 200 years ago and many family plantations dotted the area. Hope you are able to find it. Recently moved nearby. Wondering if there are any house tours of this lovely home? Simpson family member wondering if I can visit the cemetery of the family.